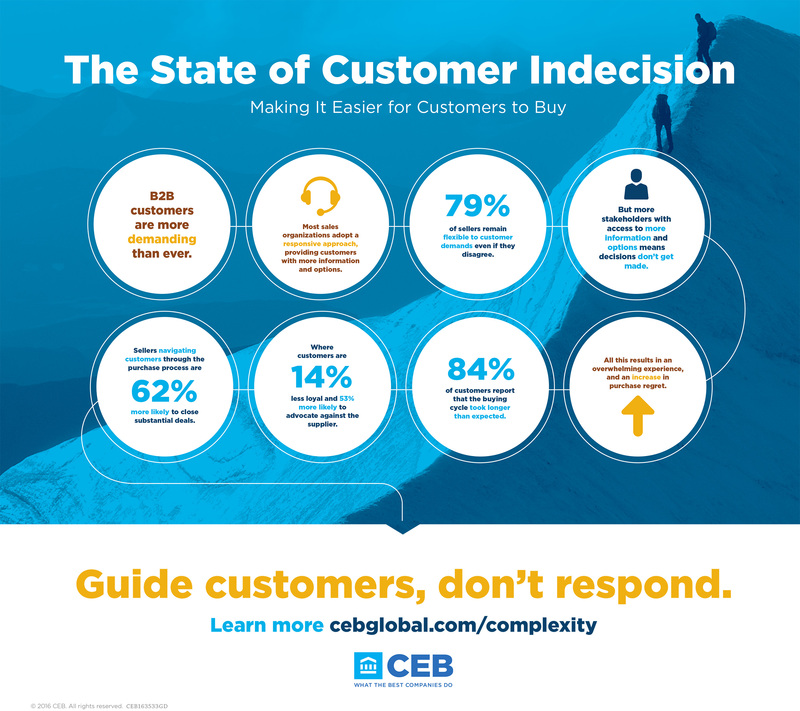 Research from CEB (NYSE: CEB), a best practice insight and technology company and the creators of the Challenger™ Selling model, shows that 51 percent of customers who might be willing to buy from a supplier are not willing to advocate for them and help them get deals over the finish line. This is a direct result of the difficult, internal buying process. Unfortunately, sales organizations lack a true understanding of their customers and are unable to simplify the complexities of buying for them. 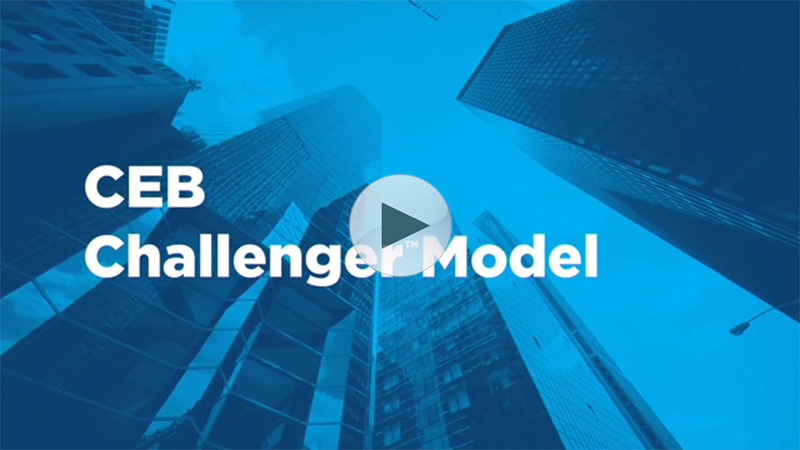 In the five years since the introduction of the Challenger model, CEB has found that while B2B buyers are undoubtedly empowered to learn – completing 57 percent of the purchase process before engaging a sales rep – they are nonetheless struggling to buy. 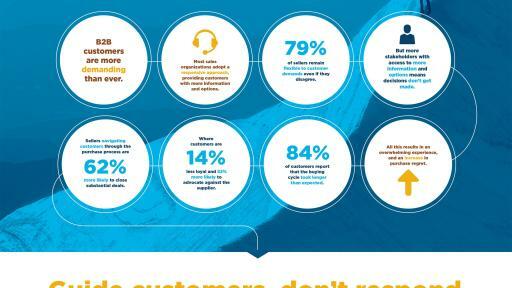 In fact, 39 percent of customers report they are overwhelmed by the buying process. 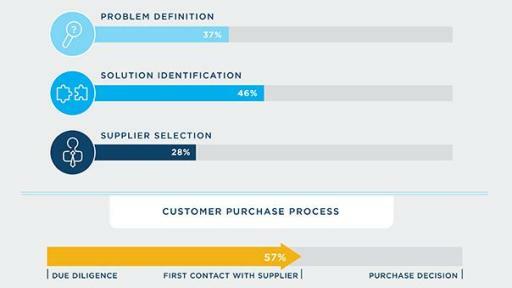 Much of that buying challenge arises from the rapidly growing number of customer stakeholders now involved in the purchase decision (which has risen from 5.4 stakeholders in 2014 to 6.8 in 2016) as each of those stakeholders comes to the table with different, often competing, objectives, metrics and priorities. In this environment, it’s no wonder that customer champions are often unwilling customer advocates. Leading sales organizations do this by teaching their customers a new way to view their own business (Challenging), connecting customer stakeholders to one another (Aligning) and guiding customers across the hurdles they will face throughout the buying process (Prescribing). The best sales organizations understand what their customers’ goals are and how they plan to achieve those goals. They then seek ways to credibly demonstrate to customers that they’ve overlooked an opportunity to make money, save money or mitigate risk despite all of their independent learning. They do this through concrete insights specifically tailored to that customer’s current operations and competitive landscape. This kind of insight allows suppliers to compete against competitors’ sales ability and customers’ learning ability at the same time. With an ever-growing number of customer stakeholders involved in the buying process today, sales organizations need to better understand each of the various stakeholders that impact deals – who they are, how they connect and what motivates them. Rather than building tighter connections to each stakeholder independently, leading sales organizations work to identify and overcome the points of disconnect among those stakeholders, connecting these stakeholders to one another and driving them towards consensus. This helps suppliers avoid lowest common denominators of “do nothing,” “save money” and “study it more” that unaligned customers are likely to achieve on their own. “Great sales organizations make it easy for customers to buy. They do this by understanding the anticipated and unanticipated obstacles customers may face throughout the entire purchase process,” added Adamson. Too often, suppliers provide customers with more information and options to be flexible to their requests. This kind of “responsive approach,” however, only exacerbates customers’ struggles to buy. Instead, leading sales organizations adopt a prescriptive approach to buying, providing customers clear, credible recommendations throughout the entirety of the customer’s purchase process to help anticipate problems and ease decisions.